Valero Energy Corporation, a Fortune 50 company, was founded on January 1, 1980. Situated in San Antonio, Texas, USA, it is an independent petroleum refiner and ethanol producer. Today Valero Energy stands as one of the largest independent oil refinery corporations in the world, with a throughput capacity of 3.1 million barrels per day. The refinery division has a wide product portfolio, consisting of conventional and premium gasoline, diesel, low and ultra-low Sulphur diesel, CARB diesel, jet fuel, asphalt, petrochemicals, lubricants. Valero has a total employee strength of around 10,000 as of 2019. Valero's vision as per their annual report is that "Valero will be the premier manufacturer, distributor and marketer of quality transportation fuels and petrochemical feedstocks, while serving the needs of our employees, communities and stakeholders." 1. Entrance in the Mexican market: Valero recently in 2017 increased their scale of operations by venturing into the retail fuel distribution market of Mexico. In the first stage of expansion, Valero has in total constructed 3 storage and distribution facilities in Mexico, the total capacity of which is estimated to be around 1.7 million barrels. The 3 terminals are to be located in Altamira, Tamaulipas; Monterrey and San Luis Potosi, with storage capacity of nearly 1 million barrels. The largest facility will be the Tamaulipas facility with a storage capacity of almost 1 million barrels, while the facilities at Monterrey and San Luis Potosi will have a storage capacity of 325,000 barrels each. The entire project is estimated to be almost US $200 million in investments. 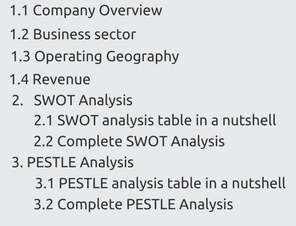 In the second stage of expansion, the company has a target to cover the northern and south-eastern markets. The distribution network will consist of tankers to transport fuel to Mexico and intra-country distribution will be done using tanker trucks and trains. This new venture will provide a sea of growth opportunities for Valero, which has a weak global presence. 2. Product shortages in Latin America, Eastern Canada, Europe and Africa expected to drive demand growth: In Latin America, following Venezuela’s massive economic depression, coupled with US sanctions on its oil industry has reduced supply in Latin America to a huge extent. As crude oil prices are dropping massively, below $ 50 per barrel since 2009, African oil producing countries, Nigeria being the largest are facing severe financial difficulties. Nigeria, the top African oil producer, had seen a 40.3% drop in it’s earnings between 2014 and 2015. In Europe, Russia, a primary crude oil producer has started the launch of the expanded East Siberia-Pacific ocean pipeline that would increase their crude oil supply to china at 30 million tons annually. This would decrease the oil supply in Europe, and would be a great opportunity for US exporters if they can keep their transport costs at a minimum. 3. Demand for renewable fuels: BP, the oil giant, has predicted in their annual report that if current trends continue, by 2040, there will be a growth of 400% in the renewable energy sector. Valero, which produces renewable fuel Ethanol, has an immense opportunity to gain significant market share in this gradually growing sector, as tensions rise throughout the world regarding cutting down carbon footprints. Valero could step up operations in its Ethanol sector to meet high demand. 4. Use of Ethanol as an alternate source of fuel: Valero produces almost 1.4 billion gallons of ethanol per year, which is an eco-friendly, renewable, high-octane fuel and can be used as a fuel for internal combustion engines. Owing to the rise of global pollution levels, current generations are actively pursuing alternate fuel sources, which can sustain them in the future. Valero has a great potential in this aspect and the main fact is that the ethanol it produces has a very low carbon footprint during production, as it is made from corn kernels. Even the post-production waste can be feed to livestock, making their entire ethanol operation sustainable for the environment. Valero’s share of U.S. ethanol exports have grown over to 23% and this export growth is expected to remain strong due to global mandates to reduce emissions. 1. Lawsuits regarding environmental damage: There are controversial arguments between large Texas based oil companies like Valero and the green state of California regarding pollution caused by these companies in the environment. Also there is a water lawsuit with oil companies, due to gasoline contaminating the drinking water in certain US areas, leading to these companies paying a hefty sum of over $ 400 million. It is certain litigation like these that adversely affect the profit line of Valero. 2. Impact of 2020 IMO fuel sulphur regulation: The International Maritime Organization’s (IMO’s) regulation regarding global 0.5% fuel sulphur content cap is set to be enforced from 2020. This will have an impact on fuel supply and the availability landscape as it will be a drastic fall from the current 3.5% limit. Simple refineries with substantial Heavy fuel oil production may face issues as a result. However, complex refineries can overcome this through a larger production of low-sulphur products. Valero will be able to overcome this by making changes to production and refinery configuration according to market demand. Pure Biofuels del Peru (PBF) Fuel Supply and Distribution 2018 Acquisition The acquisition will allow Valero to leverage PBF’s supply platform in Peru with a diverse group of customers, including retailers, miners, and airlines. 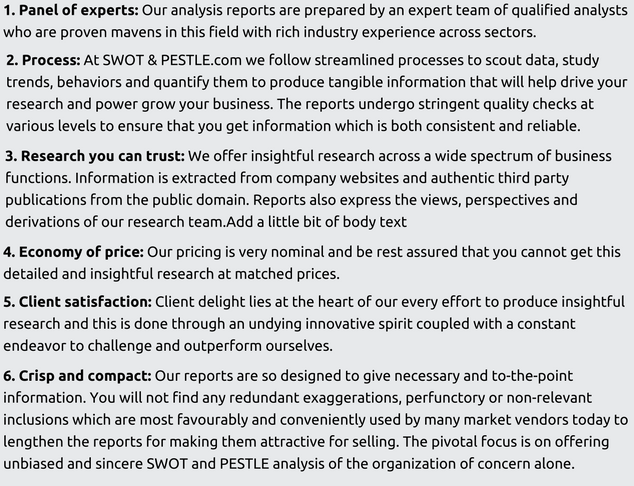 Valero Energy SWOT and PESTLE analysis has been conducted by Saptarshi Ganguly and reviewed by senior analysts from Barakaat Consulting. 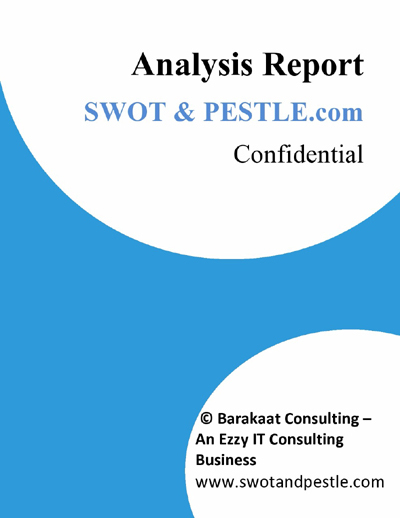 Copyright of Valero Energy SWOT and PESTLE Analysis is the property of Barakaat Consulting. Please refer to the Terms and Conditions and Disclaimer for usage guidelines.